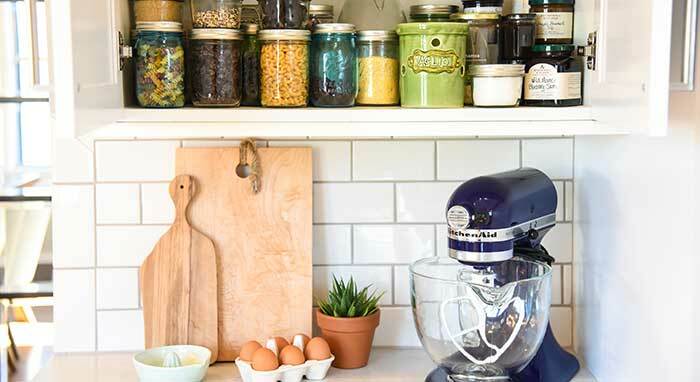 Detroit-area culinary school graduate, food photographer and recipe developer Lori Yates loves to share her food creations on her blog, Foxes Love Lemons, but recently she also cooked up something special for herself — a small "dream kitchen" renovation for the 1925 Craftsman-style home she and her husband purchased in 2015. 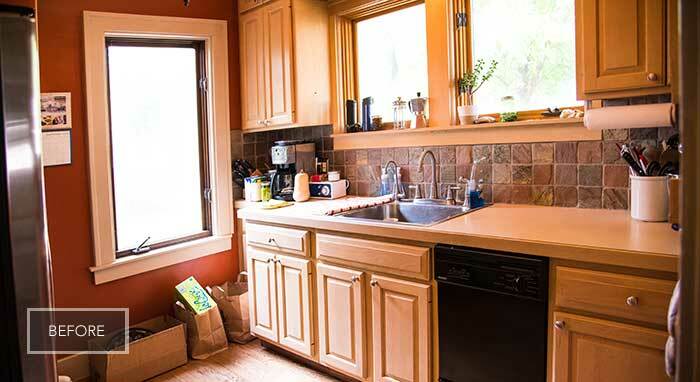 As someone who works out of her home, Lori wanted to make the small kitchen her own. Unfortunately, it was outdated, dysfunctional, and suffered from a poor layout with limited counter space and a serious lack of storage. Working with Eric Johnson, from Cobblestone Kitchen and Bath to help re-think the space, they transformed the kitchen into a beautiful, fully functional space adjacent to her home office and photo studio. 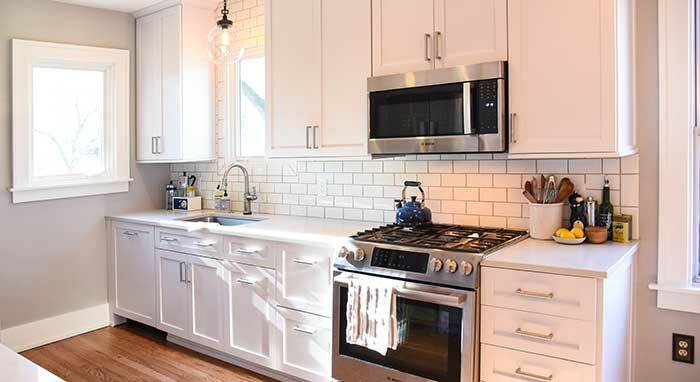 Full access Omega Cabinetry in the Puritan Door Style in the Pure White opaque finish fulfilled Lori's vision for a clean, uncluttered look, and created the perfect backdrop for the home's refinished original hardwood flooring. 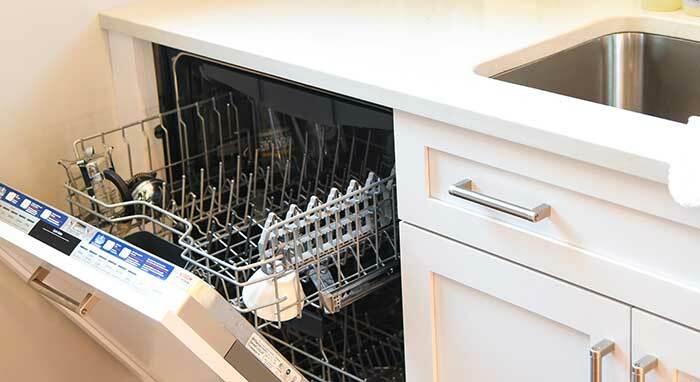 An Omega appliance panel conceals her new dishwasher, which she uses up to three times per day for her work. The panel keeps the white cabinetry line continuous without breaking up the space, and makes the kitchen look bigger, too. Storage capacity was maximized, thanks to the cabinetry’s frameless interior design, which allows her to "load those cabinets right out to the door and sides." The kitchen now boasts a large cabinet with slide-outs for pots and pans, a pullout garbage and recycling center, a knife drawer, and a cabinet with two deep drawers — "one for lots and lots of fresh kitchen towels and the other for the food processor and blender" — keeping items off the counter, yet easy to retrieve. 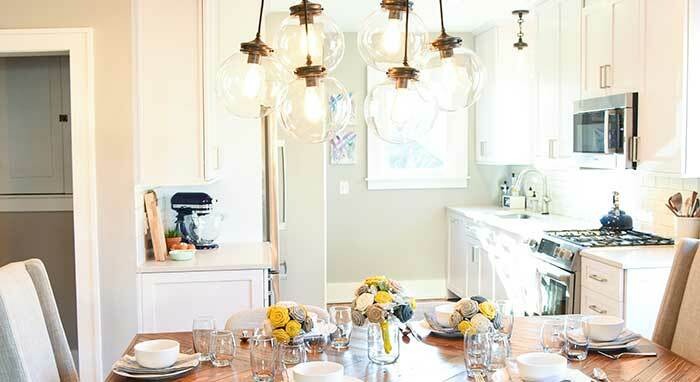 And how did her recipe for a small kitchen renovation turn out? Says Lori: "Everything is so amazing. I like it all!" Envisioning the final look and worrying if it was the right move – "But it totally was!" Her first-ever gas range and the new "glorious dishwasher."